At Kiel Industries we don’t have generic plastic freezer spacers. Our FP4 freezer spacer has been specifically designed to maximise cooling potential. Unlike other spacers, our product is unidirectional and created for single airflow through freezer tunnels. We have made our freezer space large enough for unrestricted airflow. A freezer space allows you to speed up the freezing process by regulating air efficiently. With our freezer spacers for pallets, you’ll be able to save time and energy maintaining your food products and eliminating carton damage in cold and damp environments. The freezer spacer’s smooth grooves are able to prevent carton penetration and tearing so your items are kept secure. Why should you hire our plastic manufacturing team? We don’t just generate products, we create tailored solutions. Our aim is to provide all our customers with quality plastic items to increase productivity and performance. For over 25 years we have been helping out Australian locals with all their plastic manufacturing needs. Whether we’re making our freezer spacers, plastic pallets or custom designs, all our products are built to last. Kiel Industries is proudly an Australian owned and operated company. We established ourselves in 1989 as a plastic products manufacturer. 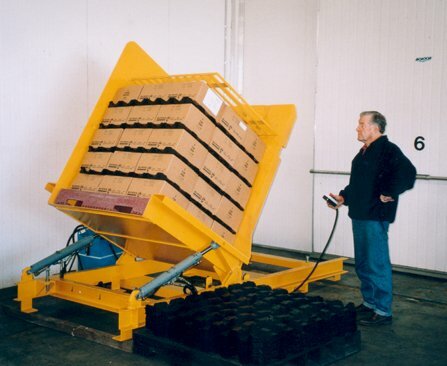 Since then we have grown as one of the industry’s leading plastic pallet suppliers in the entire Southern Hemisphere. Does your business need reliable freezer spacers? Talk to one of our consultants today. No project is too big or small for our plastic manufacturing team. Entrust Kiel Industries with all your freezer spacer needs. Call us now on (03) 5135 3900 or send an inquiry to admin@kielindustries.com.au.